Humorbot 5.0 returning in a later episode. The various sources of inspirations for Harold Zoid's old holo film. There was discussion about where the ink should be coming from, but they decided that it should be vague. Hank Azaria met David X. Cohen while at the recording studio used for both The Simpsons and Futurama and mentioned loving Zoidberg's voice and requesting to voice a relative of some kind. Listing various Simpsons actors who've been on Futurama. Dave Herman did the temporary voice for Zoid. DiMaggio jokingly complains that Herman's version wasn't used. Harold Zoid's name (and Zoidberg) is based on a game Cohen wrote, similar to his favourite game Qix, for the Apple 2 in assembly called Zoid, as well as actor Harold Lloyd. Matt Groening later bought Cohen a Qix machine as a present, it no longer works. Mentioned the fan reception of this episode as the worst ever and that the rating on gotfuturama.com was 58/100. One forum member reportedly bashed it at every opportunity, until Patric emailed to find out what was wrong with it, at which point he claimed the episode was okay. Script notes in the early stages included (from Patric himself) "the first act is over joked and the third is under and some where in the middle I lost Fry and Leela". David noted the possibility of needing a C-story runner for Fry and Leela. 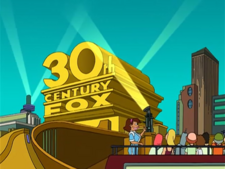 Old titles included "Zoidberg goes to Hollywood" and "Zoiddy goes to Hollywood". The audience pan was sped up from 15 seconds to 2 seconds to save time but keep the animations. Apparently the Star Trek nominated for product placement was actually Star Wreck. This page was last edited on 19 August 2013, at 16:32.